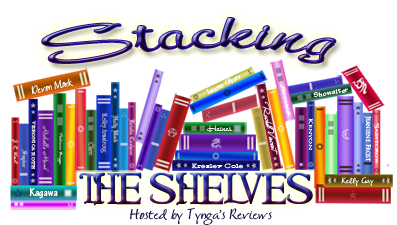 Stacking the Shelves is a weekly meme hosted by Tynga's Reviews. 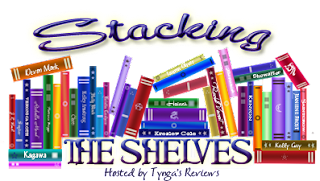 It's an opportunity for everyone to share the books which we've added to our shelves. Did you add any books to your shelves this week? Leave your link and we'll check them out! Great haul! I've been wanting to start the series for If I Stay for a while. It's been sitting on my book shelf for so long. Really want to read Black Heart too! Hope you enjoy your books! The library didn't have If I Stay last time, so when I saw that it was there this time, along with the sequel, I grabbed both of them. Thanks for stopping by! So jealous of Black Heart! I actually got Where I Went a while ago but I never finished it because I skipped over the first book LOL ;) Anyway, great haul, I hope you enjoy! I tried to get Black Heart the last time that I went to the library, but it was checked out. I was very happy to see it on the shelf this week. Thanks for stopping by! Awesome Haul I stillneed to read Black Heart! I still need to read Red Glove as well, lol. They're both sitting on the coffee table waiting to be read. Black Heart is another book that I still need to read. Great haul. I'm looking forward to reading the rest of the Curse Workers series. White Cat was pretty good. Thanks! Hopefully, I'll finish my school books quickly and without too much agony, then I'll be able to read whatever I want! Thanks for dropping by! Great books this week, I still need to finish White Cat xD Enjoy! I liked White Cat and thought the premise was really unique. I hope you get to finish it soon. Thanks for stopping by! I really need to try the Curse Workers series! Hope you enjoy all your books! :) Oh, and here is a picture of Adrian from Frostbite: The Graphic Novel! Thank you SO much for the link! Adrian looks fantastic- I need to get a copy of the Frostbite graphic novel soon. :) Thanks for stopping by! 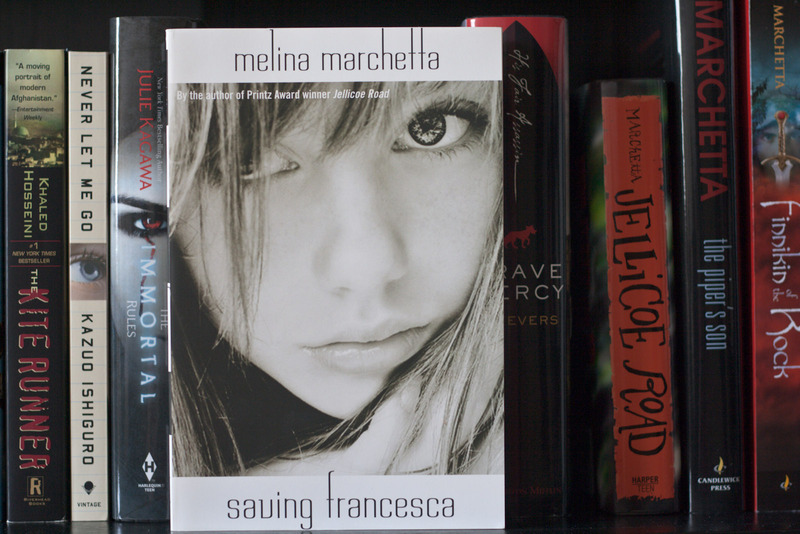 Saving Francesca has been on my list for so long. Hope Ally gets to read something fun too! Thanks for visiting. Thanks for stopping by my haul. Lol, that's so true, though I do tend to read more than I study! Thanks for stopping by! Where She Went and If I Stay are REALLY good! I hope you enjoy them! I really want to read the Curse Workers series. I have heard great things about it! Following your blog :) Feel free to stop by my blog! I've heard that the two Gayle Forman books are excellent, so I'm glad that the library had both of them. Thanks for stopping by and following! Great books this week! I still need to read Holly Black's Curseworkers series. So many books to read and so little time! I know what you mean- I have quite a few library books to get to plus a stack that I bought and still haven't read. Thanks for stopping by! I've been wanting to read Where She Went. i can't wait to see what you think of it. I've heard so many great things about the series that I had to check it out. Thanks for stopping by! I bought 3 of Melina Marchetta's books recently, and I'm so excited to read all of them because she's such an amazing writer. Thanks for stopping by! If I Stay is a beautiful book. It totally made me cry like a baby! I'd better keep the tissues handy, then, because I've cried over books before, lol. Thanks for stopping by! i really enjoyed saving francesca, i hope you like it too! Thanks for dropping by our STS! I hope that they're all as good as I've heard they are. Thanks for dropping by! I've read the 2 Gayle Foreman books. Curious to know what you'll think of them. New Follower. I've wanted to read them for a while, and when I spotted them at the library this time, I decided to check them out. Thanks for stopping by and following! Here is my weekly round up post. I liked the first book in the Curse Workers series, so I hope that the rest of the books are just as good. Thanks for stopping by! I'm looking forward to reading both of them. Thanks for stopping by! Ahhh! Fabulous haul. 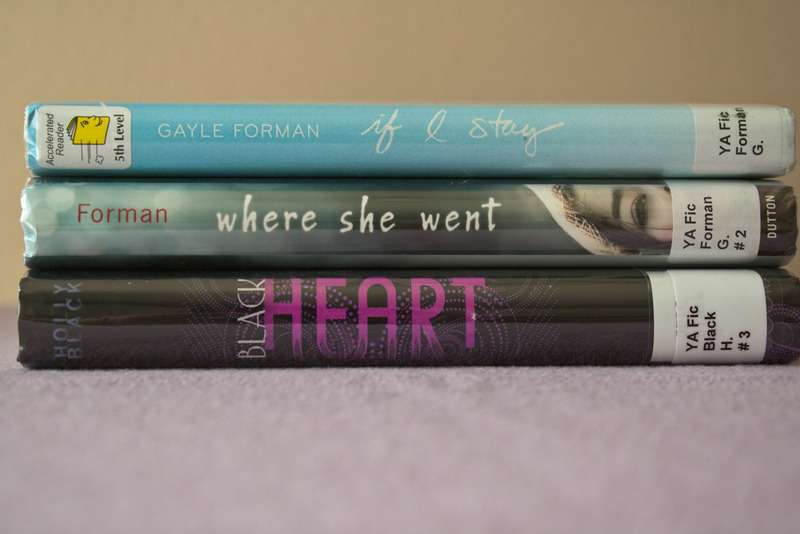 If I Stay and Where She Went are insanely beautiful and heartbreaking and fantastic, and I've heard the Curse Workers series is awesome. Also, anything and everything by Melina Marchetta automatically gets a thumbs up. I'm so glad that I discovered Melina Marchetta's books this year; they're simply amazing. Thanks for dropping by!